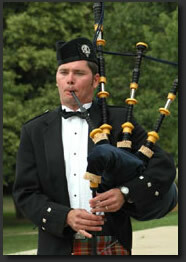 Scott Beach has been playing the Great Highland Bagpipes for over 35 years. 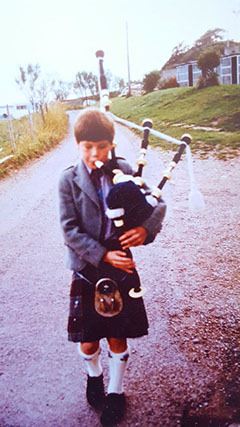 Being the son of an Irish descended US Navy father and a mother who was born in Scotland, Scott was originally trained on the bagpipes by the world famous pipers, Murray and Patricia Henderson in Scotland, where Scott lived for 4 years in the early 1980's. Scott is one of few bagpipers in Colorado trained in the Old Country and is devoted to sharing the Scots-Irish music and culture with his hundreds of audiences each year throughout the Rocky Mountain State and beyond. At the age of 12 Scott played through the gates and out into the courtyard of Edinburgh Castle in Scotland as a member of the British Royal Legion Pipe Band, a troop of 200 bagpipers and 60 drummers performing for a truly spectacular event in the castle courtyard. A few years ago Scott was requested to be the sole bagpiper to play to a very private company of several revered Lords and Ladies, including the Dowager Countess Strathmore (whose husband, the late Earl of Strathmore, was the Queen's Cousin) in Scotland. The Strathmore family has owned Glamis Castle, since King Robert II first bequeathed it to them in 1372. Glamis Castle was also the childhood home of Her Majesty the late Queen Mother. Scott thoroughly enjoyed piping at this special occasion, especially as it was held on the banks of a salmon river upon which Scott's Grandfather, Ned Coates, in his kilt as always, was employed as the estate Salmon Ghillie (guide) for over 40 years (Scott would spend his entire summers off school in the kilt and playing up and down the river banks as his grandfather guided the gentleman into catching salmon with their long Tay rods billowing in the breeze). Scott performs for over 250 performances in Colorado and surrounding states each year. Scott has also been an official Guinness Ambassador, performing for and MC-ing all of the Guinness Legacy Events in Colorado (which have included several trips to Las Vegas). Scott remains Guinness's choice piper in Colorado. Scott has performed at concerts with Joe Cocker as well as events for Senators, Congressmen and Members of the British Parliament, and for Colorado's last 3 Governors. Scott recently performed select songs for the famous actor and writer Malachy McCourt (brother of Frank McCourt, Pulitzer Prize Winner) and Scott has opened a Colorado Rockies home game by piping solo on homeplate "America the Beautiful" as well as performing at Arlington Cemetery. Scott has also been featured as a solo Colorado artist on channel 9's "Colorado and Company" which airs throughout the state of Colorado, a photo of which can be seen below. With a strong love and connection to Scotland and Ireland there's nothing more enjoyable than to light up the faces of audiences with the beauty and grace of the bagpipes. Please call Scott to reserve your performance date at 303-521-8346, or email Scott at scott@coloradobagpiper.com and help to make your event a success. 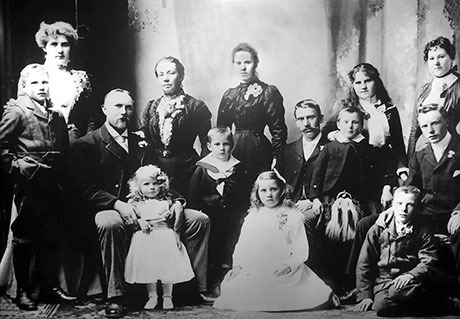 Far left standing boy is Scott's Great Great Grandfather...Gamekeeper Family to the Earl of South Esk, Kinnaird Castle, N. E. Coast Scotland. 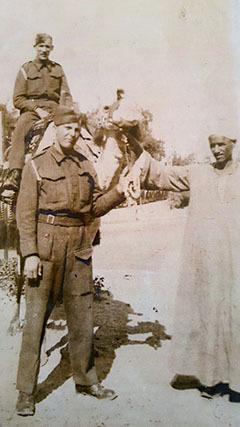 Sitting Man (Great Great Great Grandfather) and Woman to his Right, Are the Father and Mother to All in the Photo.